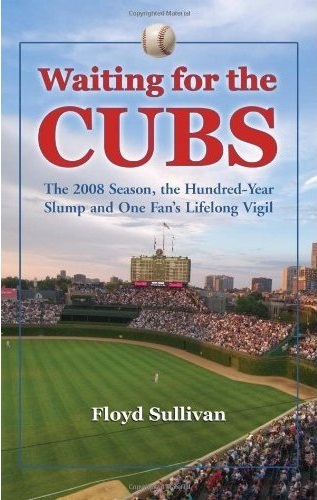 Avid #Cubs fan Floyd Sullivan introduces us to his entire multi-generational family of “Cubbed-Up” baseball fans, in his book Waiting for the Cubs: The 2008 Season, the Hundred-Year Slump and One Fan’s Lifelong Vigil . The book was released in 2010 by McFarland & Company. This chronicle of the 2008 season coincides with the 100th Anniversary of the last Cub’s World Series win, and Floyd intersperses key elements of the 1908 season among his personal accounts. He also puts to use an entire lifetime of Cubs fandom, to instill the proper sentiment in the book, which allows the reader to truly feel the ebb and flow of the baseball season. Written in a relaxed, first person narrative, we feel as if we are along in the backseat of his Honda Accord, logging the miles to Cubs games from Miami to Pittsburgh to Cincinnati, and to legendary Wrigley Field. As Floyd states, this is a personal account of a true fan who has no special privileges or insider access. It is the story of a fan (and his family) who purely love the game of baseball. For those who may not remember, the Cubs 2008 campaign was rather successful, leading the National League in Wins, major offensive statistics such as Runs, OPS, Total Bases, as well as pitching statistics Strikeouts and Opponents Batting Average. Lou Piniella’s team would notch 97 wins, the most since 1945. There were many other story lines to follow during the 2008 season that contribute to the excitement of the book. It was the season in which the Cubs would achieve a significant milestone in baseball history, notching the franchises’ 10,000th victory! Only the Giants have achieved more wins. Also, late in the season, pitcher Carlos Zambrano threw the first no-hitter for the Cubs since 1972. Through Floyd’s eyes, we are able to put the current season in perspective with other moments in Cubs history, but it is through his diligent research and passion that we get a glimpse at the Championship Season of 1908. 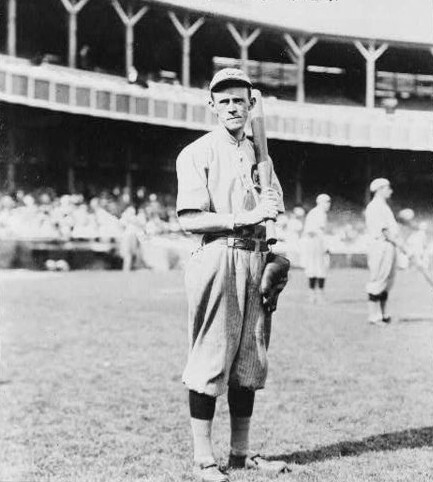 Players such as the Hall of Fame trio Tinker to Evers to Chance, and pitcher Mordecai Brown starred for the 1908 team, and Floyd recommends some great books that examine one of the most exciting seasons in baseball history, including Crazy ’08 by Cait Murphy and David Anderson’s More Than Merkle. Ahh Merkle .. proof that there is always more to the story than what is just on the surface, especially when it comes to baseball. Not only is the infamous game between the Cubs and the Giants in late September 1908 examined in detail, but we are provided with the prequel of September 4, 1908 when many of the participants were involved in the exact same situation! This time the team involved was the Pirates, but it was still the tough, heady Johnny Evers who understood the mistake on the basepaths made by the rookie Warren Gill. Evers would be unsuccessful in lobbying for overturning the winning run in Pittsburgh, but it would come back to have a huge impact when it occurred in New York just weeks later. The 1908 Cubs were victorious in the makeup game against the New York Giants, and the win sent them on to the World Series against the American League Champion Detroit Tigers. They prevailed in five games, but as everyone is aware, they have not hoisted a World Series banner since. The 2008 Cubs were swept from the playoffs by the Los Angeles Dodgers despite having a strong regular season. Although they went down in rather humiliating fashion, we get to have a happy ending to Waiting for the Cubs. It is a final chapter that lets the reader finish on a happy note. We have to extend our sincerest thanks to Floyd Sullivan for appearing on Cover the Bases to talk about his book . When that day does come, and the Cubs are celebrating on the field as World Series Champions, we will immediately tip our cap to Floyd and his family. We will know that they are out there somewhere wrapped in a joyous embrace .. and possibly uttering the phrase as inscribed on their Wrigley Field memorial brick – Thanks Dad. You can keep up with all of Floyd’s current happenings at his blog Waiting4Cubs.com. He has also collaborated on a chapter called “The Strange Death of Harry C. Pulliam” in the recently released Mysteries From Baseball’s Past: Investigations into Nine Unsettled Questions. He has also promised to keep us up to date on a book in the works about Old Comiskey Park! Please let us know in the comment section what you think about this wonderful story of a true baseball fan, as well as any other suggestions you might have for future editions of the Cover the Bases podcast. We would love to hear from you. 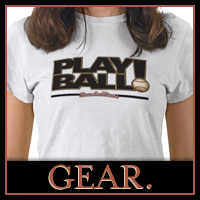 Send a Tweet to@baseballisms with a quick message, or send us an email. We look forward to growing a community of fans passionate about the poetry of the game of baseball! Enjoyed the book and plan on reading about Comisky!